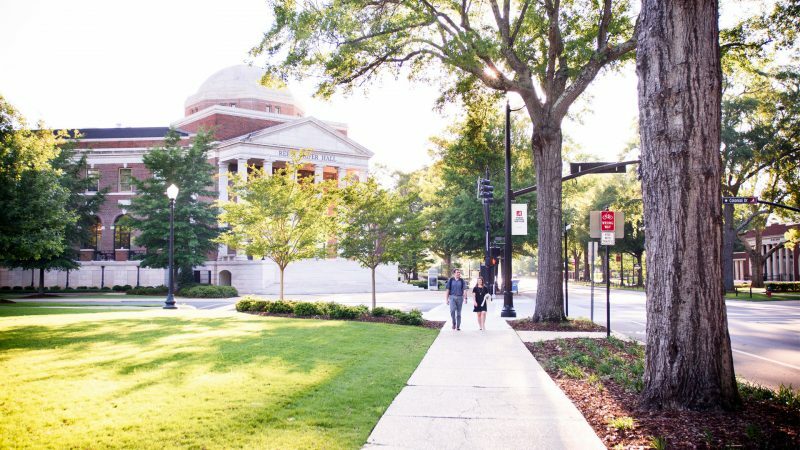 As a flagship institution, The University of Alabama is well-represented in major professional and academic organizations across a variety of industries. 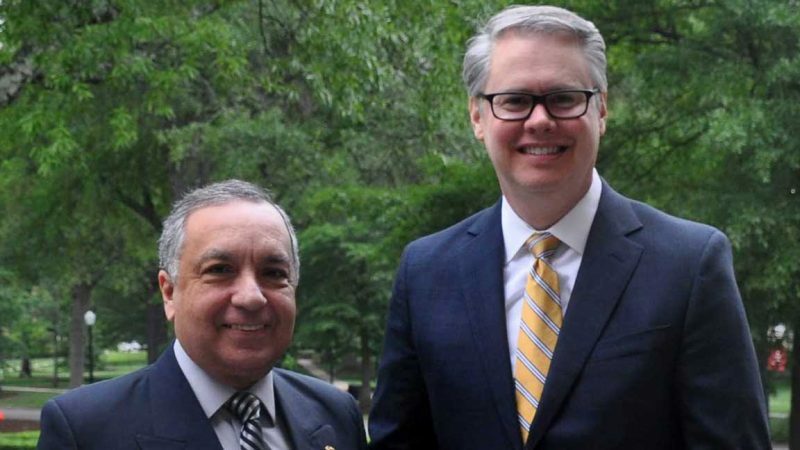 The College of Communication and Information Sciences’ relationship with the Association for Education in Journalism and Mass Communication (AEJMC) is an excellent example. AEJMC is the largest, umbrella organization for educators in the fields of journalism and mass communication. Founded in 1912, the organization has grown to over 3,700 educators, students and practitioners from around the world. 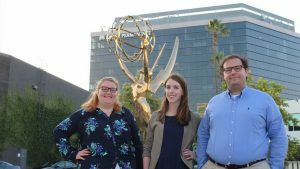 UA’s leadership and representation within AEJMC enables its faculty and students to be a part of the conversation that frames the evolving industries of journalism and mass communication at the educational level. 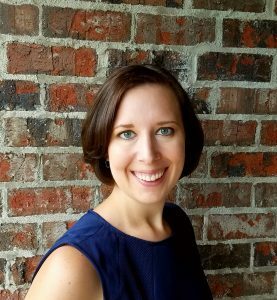 In addition to having an influential representation throughout the membership of AEJMC, UA’s Dr. Jennifer Greer was sworn in as President of AEJMC, and UA faculty took a large role in the leadership of the annual conference. Nearly twenty faculty members hosted presentations, participated in panels and moderated discussions at over 40 AEJMC conference sessions. As part of the annual conference in August, each division of AEJMC had a business meeting where updates are provided, officers are given a chance to speak and awards were distributed. The following awards and accolades are some recognizing UA professors and their work in their respective fields. 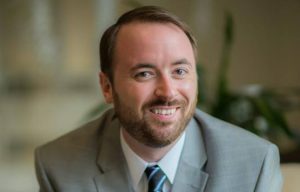 The AEJMC division, Mass Communication in Society awarded their Promising Professor Award for faculty to C&IS professor, Dr. Brett Sherrick. Given annually, the award acknowledges excellence and innovation in teaching for three faculty members in the first five years of their full-time teaching career. Part of the evaluation process for the award involves examining qualities and teaching styles of the considered professors. This includes an examination of the professor’s strengths and weaknesses as well as what makes their teaching styles unique. Dr. Sherrick’s research covers a broad topic range including the video game industry and its effects, media psychology and pro-social media or media with a received benefit to the consumer. Another division of AEJMC, Communicating Science, Health, Environment and Risk, awarded C&IS professor, Dr. Jennifer Hoewe their Article of the Year Award for an article she co-authored along with Dr. Lee Ahern and Dr. Colleen Connolly-Ahern of Penn State University. 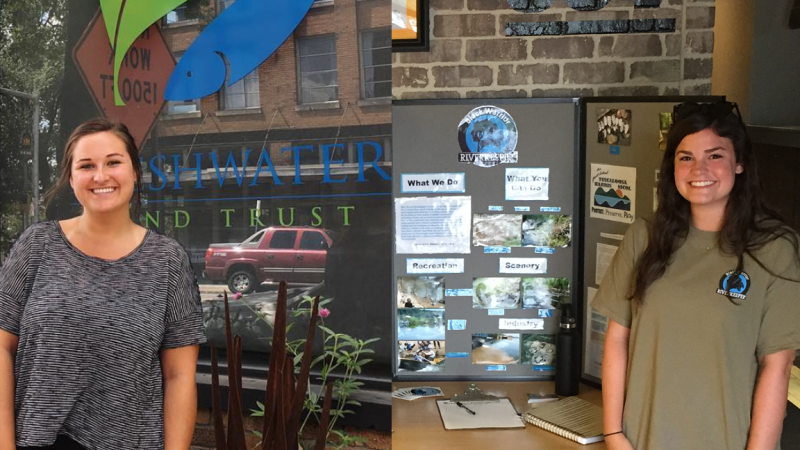 The article, titled “Worldviews, Issue Knowledge and the Pollution of a Local Science Information Environment,” investigates how political frames affect attitudes toward an environmental issue with local impact (storm water runoff). 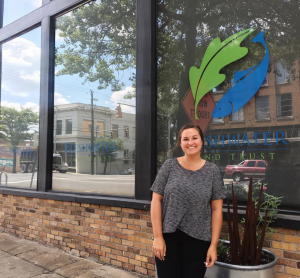 The research team’s study showed that even with scientifically accurate information about the effects of storm water runoff, people’s willingness to support solutions that would be helpful to combat those effects was influenced by their politics. Unlike many other division-specific awards, there is no submission process for Article of the Year. Instead, an initial cut to the top 6 articles considered is performed by ComSHER officers and then a team of 5-7 experts of the field score the articles for quality and likelihood of impact on the field. 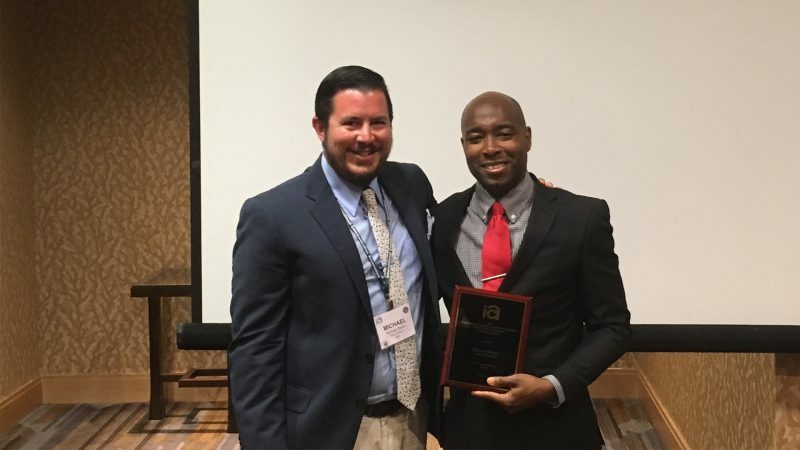 Also from C&IS, Dr. George Daniels was awarded first place for the Best Practices in Service Learning in Journalism and Mass Communication Teaching 2017 competition, sponsored by the AEJMC Elected Standing Committee on Teaching. His entry, titled “Transforming Mass Media Students into Problem Solvers: A Mass Communication Diversity Service Learning Course,” highlights a course which places graduate and undergraduate students in a variety of service roles designed to increase their awareness of and sensitivity to difference and diversity. Dr. Daniels and the second- and third-place finisher in this year’s competition gave presentations on their entries at the annual conference. 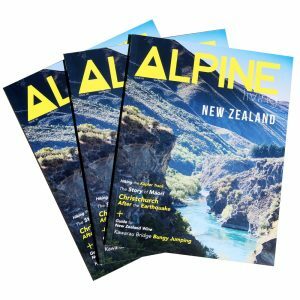 The C&IS student-produced magazine, Alpine Living, won third place in a national magazine competition for its website. This competition, sponsored by the Magazine Division of AEJMC recognizes the top student magazine—print and online—as well as individual stories within the magazines. In March 2017, a group of graduate and undergraduate C&IS students traveled to New Zealand to produce a 100+ page, full-gloss, international travel magazine highlighting the culture, people and history of the country. For the seventh edition of this publication, students traveled to Auckland, Christchurch and Queenstown, New Zealand and also had a brief stay in Sydney, Australia. C&IS student, Matthew Wilson won 2nd place in one of the top article categories for his story, titled, “Sea of Dreams.” His story captures the perspective of Project Jonah and the Auckland Whale and Dolphin Safari in the preservation of marine life habitats in New Zealand’s Golden Bay and Hauraki Gulf. In addition to the awards mentioned above, several C&IS faculty members were awarded top paper awards for their divisions. The University of Alabama College of Communication and Information Sciences will host the 43rd annual AEJMC Southeast Colloquium on March 8-10, 2018. This is the longest running regional research gathering for AEJMC. 2018 will mark the fifth time that UA has hosted this event. The colloquium is similar to the annual conference in its opportunities for networking and continuing education, but the primary focus of the colloquium is research. Additionally, the Southeast Colloquium provides attendants with an on-campus feel, rather than a hotel conference center in a major urban area. Participants will attend sessions in Reese Phifer Hall, tour University of Alabama facilities and experience Tuscaloosa attractions. As a pre-conference, the colloquium will be preceded by the Ninth-Annual Discerning Diverse Voices Symposium. This day-long event welcomes participants from around campus and elsewhere in the nation for a unique venue for diversity-related research and creative activity. For more information about the 43rd AEJMC Southeast Colloquium, visit the official site. Left to right: Kathleen Bodle, Abigail Armstrong, Drake McDonald. Not pictured: Shanrica Evans. Three College of Communication and Information Sciences students and one recent alumna are working as Television Academy Foundation Interns. Each year, the Television Academy Foundation’s Internship Program provides approximately 50 students from across the nation with hands-on experience in the entertainment industry, mentorships and opportunities for accelerated career development in more than 30 categories. 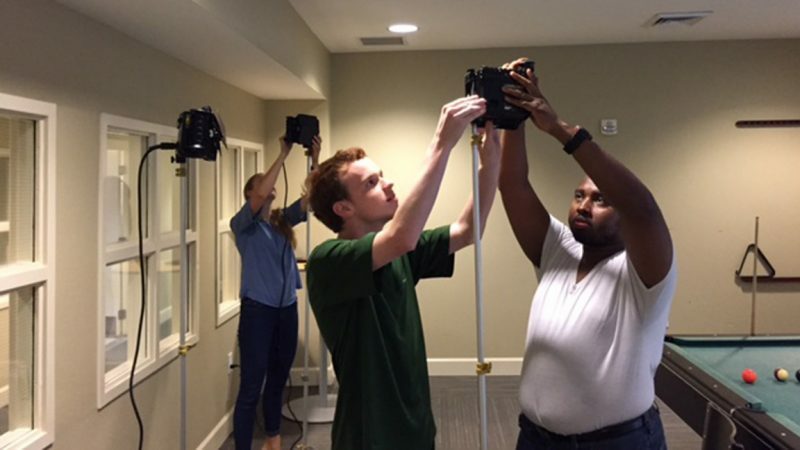 The University of Alabama has placed a total of 12 interns through the Television Academy Foundation’s internship program and has three faculty members in the College of Communication and Information Sciences who have completed the Foundation’s Faculty Seminar. Drake McDonald, of Tuscaloosa, senior, in the category of Children’s Programming and Development, for Disney Jr.
Shanrica Evans, of Decatur, Georgia, in the category of Episodic Series, for Shondaland. Evans is a UA alumna who is pursuing her master’s degree at the University of Southern California. The Television Academy Foundation’s Internship Program received 1,630 applications from students in 386 schools across 45 states. The internship category of TV Directing, awarded to Armstrong, is especially competitive, due to its popularity among applicants and the limited number of internship placement opportunities. The Television Academy Foundation is a 501(c)(3) nonprofit organization established in 1959 as the charitable arm of the Television Academy. Drs. Andrew Billings and Kenon Brown were awarded a $20,000 grant from the International Olympic Committee to study mobile and second-screen media use for the 2018 Winter Olympic Games. 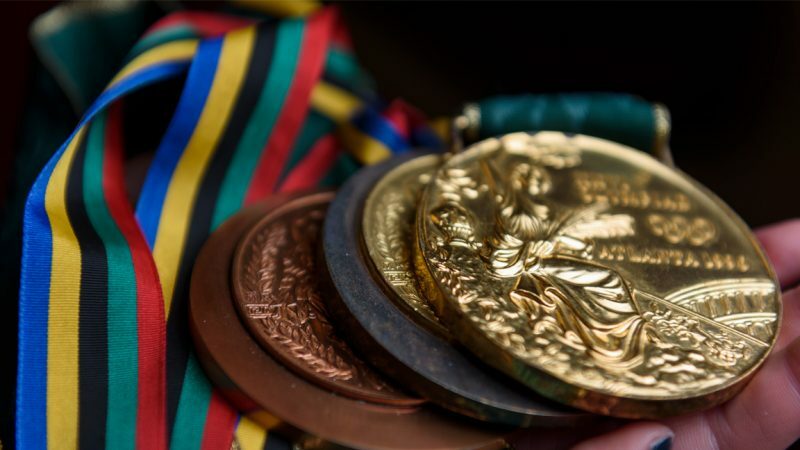 The grant is selected by the Olympic Studies Centre for priority fields of research identified by the International Olympic Committee as a part of the fourth edition of the Advanced Olympic Research Grant Programme. Also collaborating on this grant are Drs. Michael Devlin, of Texas State University, and Natalie Devlin, of the University of Texas. The team will distribute and analyze survey data from Canada, China, Germany, Japan, the United Kingdom and the United States to determine the differences in the Olympic viewing habits from one country to the next. This research will show the impact of mobile and second screen use upon the viewership of the Olympics as a whole, and could help network producers schedule online content to maximize their audience’s interest. “If you’re ‘consuming’ the Olympics on digital platforms, does that mean that you’re watching the Olympics, that you’re looking at what an athlete just posted on Instagram, or reading a synopsis of what happened at the Games? Those are all very different things,” said Billings. Since 2014, the Olympic Studies Centre has selected six or seven international research project proposals each year. This year, the OSC received 24 project applications from 20 countries spanning five continents. Billings will travel to Lausanne, Switzerland in September to present a formal proposal to the IOC. Though the project is already approved, the meeting will provide opportunity for feedback from the committee and give Billings access to the IOC’s archives and library collections. 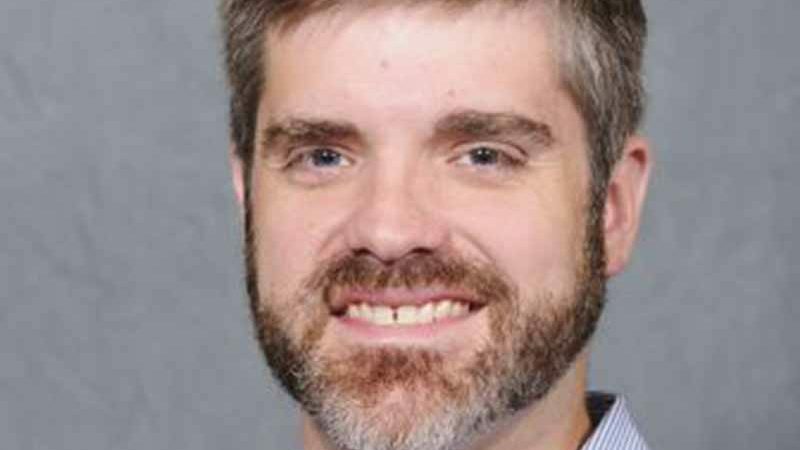 C&IS’ School of Library and Information Studies assistant professor, Dr. Steven D. Yates, has been elected President of the American Association of School Librarians (AASL). A division of the American Library Association, AASL is well-positioned within the greater library community to be a strong voice for school librarians and the profession. Yates’ one-year term as the AASL President will begin during the ALA Annual Conference and Exhibition held in Chicago, June 22-27. He is the first UA faculty member to serve as president of AASL. AASL accomplishes its mission of empowering leaders to transform teaching and learning by staying abreast of current educational and technology trends and building the school librarian community. AASL advocates for every student to have an effective school library program with a certified school librarian at the helm. AASL establishes the national standards for school librarians that are released every ten years. These are used by states and library education preparation programs. The newest version, National School Library Standards for Learners, School Librarians, and School Libraries will premier this November at the AASL National Conference held during Yates’ term. As president, Yates wants to increase the diversity of AASL committee appointments and the school library profession. He also plans to use existing technology to bring an element of more meaningful, face-to-face communication to monthly governance meetings. Yates will receive his Ph.D. from The University of Alabama in August of 2017. He holds two master’s degrees in communication studies and library and information studies. Before joining UA’s School of Library and Information Studies, Yates served as a school and public librarian in Birmingham. The American Association of School Librarians (AASL) is the only national professional membership organization focused on school librarians and the school library community. AASL has 7,000 members and serves school librarians in the United States, Canada, and around the world. 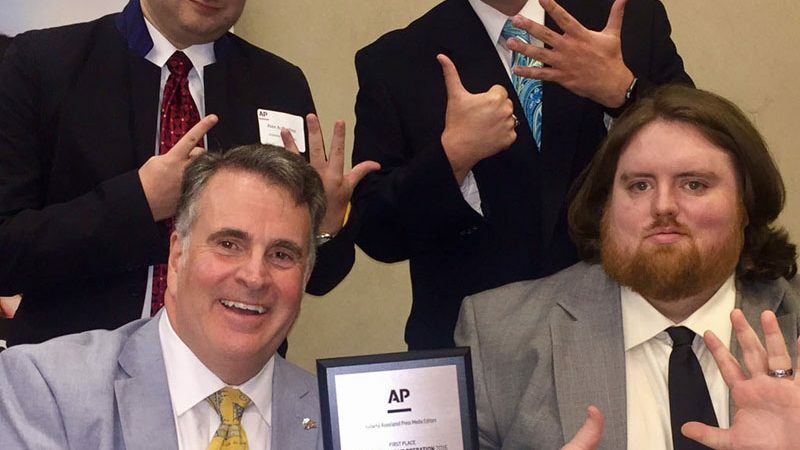 Alabama Public Radio and WVUA 23 each won multiple awards, including APR’s selection as Most Outstanding Radio News Operation, during a recent Alabama Associated Press event. The two University of Alabama-affiliated media outlets each won seven awards. It’s the sixth consecutive year APR was recognized as Most Outstanding, and APR swept the Best Student Journalism award category for the second year in a row. APR newsroom intern Katie Willem, of Huntsville, received first place overall, and Allison Mollenkamp, of Jefferson City, Missouri, received second place overall. WVUA 23 competes in the small market television category against commercial televisions of similar size across the state of the Alabama. The latest AP Awards celebrate a marquee year for Alabama Public Radio where their investigative coverage of the Alabama prison system won four regional Edward R. Murrow Awards, and their documentary, “Legacy of the Storm” won numerous awards at multiple levels of competition. 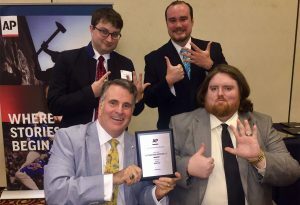 The Alabama Public Radio news team celebrates its sixth consecutive win. The four members of the Alabama Public Radio team spent four months re-interviewing the people they profiled immediately during the storm’s aftermath to see how life had changed for them over the course of the past five years. The documentary won a bronze award in the Historical Documentary category of the New York Festivals’ World’s Best Radio Programs, which judges radio programming and promotions in all lengths and formats from radio stations, networks and independent producers from around the globe. “Legacy of the Storm” also took first place in the Society of Professional Journalists’ Green Eyeshade awards, an annual contest which judges print, television, radio and online content for journalists across the Southeast. “Both of these awards are noteworthy because both contests lump network entries together with entries from both large and small markets,” said Duggins. The four-member team for Alabama Public Radio consists of Duggins , Stan Ingold, assistant news director, Alex AuBuchon and MacKenzie Bates. WVUA took home first place in the Best TV Sports Feature category for their piece, “Too Many Trophies: Hidden Gems of the Bryant Museum,” where Jack Royer explored the back rooms and hidden elements of the Paul W. Bryant Museum that aren’t on display. Though the piece won first place in a professional category, it was produced entirely by UA students Royer, Reagan Wells and Brooke Lowery as a collaboration between WVUA and the Center for Public Television. Third place “Tuscaloosa’s Dirtiest Jobs” – Jack Royer, Keith Dobbins. 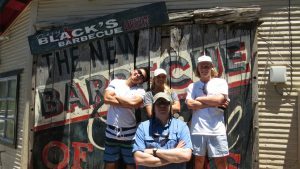 A group of four C&IS students immersed themselves into the culture behind Barbecue by touring six southern states and testing out their different barbeque delicacies. 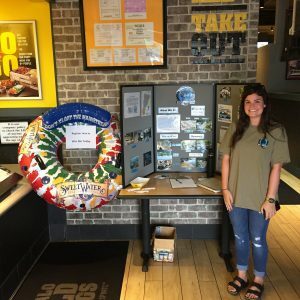 The three-week, Communication Studies interim course taught the history and practices of barbecue, gave students the opportunity to perform their own cookouts, and culminated in a road trip to barbecue meccas across the south. This was the first time Barbecue Communication has been offered at The University of Alabama. 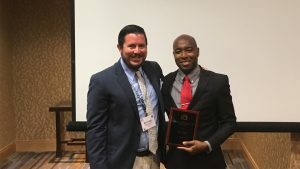 The International Communication Association’s Early Career Research Award was presented to C&IS’ Dr. Kenon Brown May 28. The honor, given by the ICA’s Sports Communication Interest Group, is for a scholar in the first six years of their career who has made a significant impact in the field of sports communication. 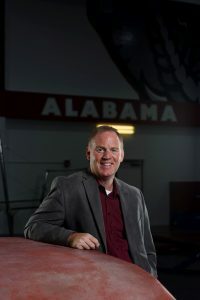 Brown, an assistant professor of advertising and public relations in the College of Communication and Information sciences and programming director of UA’s Program in Sports Communication, is the second winner of this honor. 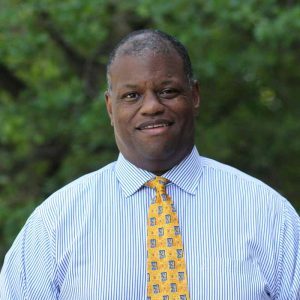 “The ICA Early Career Research Award is a big deal,” said Dr. Andrew Billings, executive director, Alabama Program in Sports Communication. “The fact that Kenon Brown is the recipient of this award is quite telling as he has become a pre-eminent scholar with a bright future ahead of him. 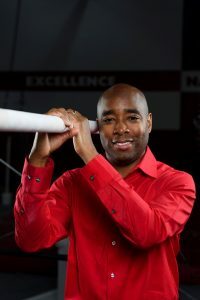 Brown’s primary area of research is athlete image and reputation management, studying the effect that athletes’ decisions have on their public perception and value to their sports organization. The highly monetized nature of professional sports allows Brown the opportunity to analyze and document the direct correlation between an athlete’s missteps and a decline in merchandising and ticket sales, for example. NCAA regulations make it difficult for Brown, and scholars like him, to study the same areas on an individual level within college athletics. The Alabama Program in Sports Communication is an interdisciplinary collaboration of different academic programs at The University of Alabama which promote the study of sports communication in its variety of forms throughout America and the world. Dean Nelson (right) with LTC Nicolas Britto. 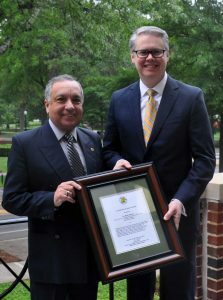 Dean Nelson was honored with a certificate of appreciation from the west/central Alabama chapter of the Association of the United States Army. The certificate is given in recognition of extraordinary support of those who serve in the military. It is the first award of its kind that has been given to a UA faculty member. One particular area of assistance has been with the resources provided for the American Legion Oratorical Contest, a constitutional speech contest for American high school students which awards more than $138,000 each year in scholarships. With Nelson’s support and partnership, Dr. Alexa Chilcutt instructed local ROTC high school students in the competition rules, and opened the Speaking Studio as a resource for the crafting of their speeches. The Association of the United States Army is a private, nonprofit, educational association of individual, business and organization members dedicated to supporting and maintaining a strong, national defense with emphasis on the role of the U.S. Army. The Speaking Studio is a communitywide resource staffed with public speaking consultants who offer immediate, constructive feedback to help students craft effective messages, cultivate dynamic delivery and calm public speaking anxiety.